And another. 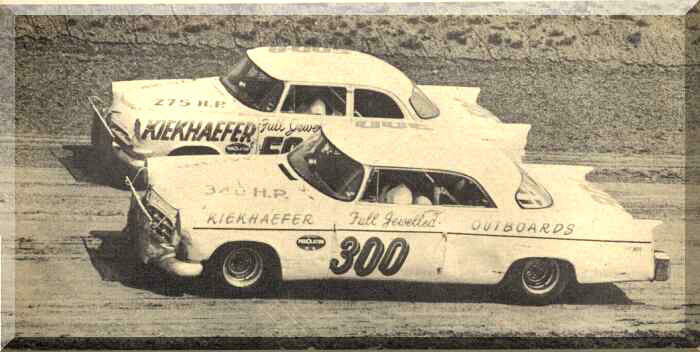 An interesting shot that also shows the Dodge 500 alongside, a car used when certain track conditions best suited it's slightly smaller, lighter size. It's of interest to me for two reasons. 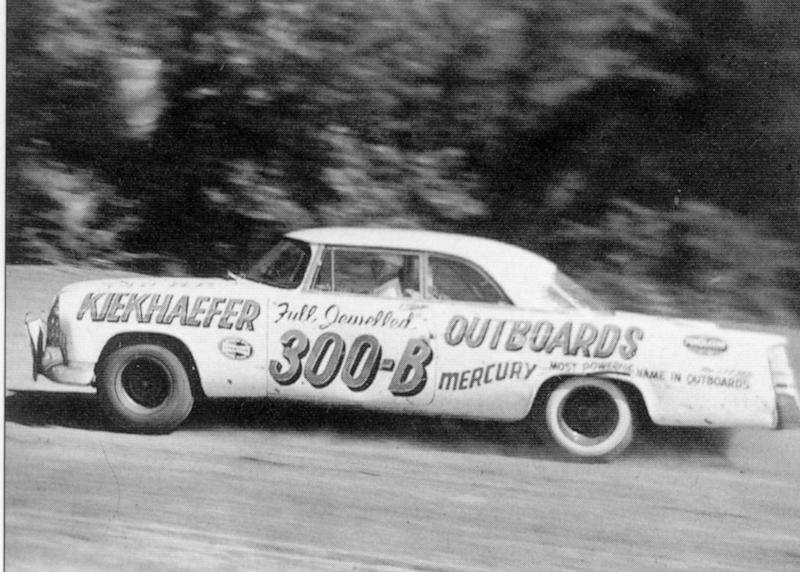 One: Buck Baker drove a Dodge 500 to victory at Greenville, SC, in 1956 on the day I was born. Two: In wanting to build a model of that car, I was able to get an order in for a '56 Dodge resin kit to Modelhaus. They tell me I'm the second last order they accepted before closing. Depending on the contents of the final order - could be parts only - I might have the final car to roll off their esteemed assembly line. Have you received your order yet? I got an order in during the last week or so myself. bangor boy, I am currently building a 56 dodge 2dr sedan, will be #50something, don't know what driver. will be anxious to see how the modelhaus body looks. there was a resin 55 hardtop sold on ebay for $236 recently. I am combining 55 and 56 johan prom bodies for my project. I am using the 55 body and the 56 grille/bumper and rear bumper/taillights. body is a hardtop but the sedan had the same roof line, will add the post. good luck, hope you order is filled soon. Happy to say it arrived just recently and it's a thing of beauty. A test fit of parts looked very encouraging. Swapped notes with Carol H. to say thanks and wish them well. Apparently they will be busy into the summer shipping remaining orders that needed parts chromed. Mine had all the chrome bits ready to go, so I got mine earlier than anticipated. Replicas: Good luck with your build. Those promo bodies on ebay look useful. I saw the resin sale you mentioned and another 'pro built' 56 Lancer that went for over $400. I feel very lucky to have got mine. Now, all I need is time to build it, but with the business running at top speed, no idea when that will happen.